Police in the north of Colombia said Tuesday that they have increased security measures over alleged plans by the country’s last-standing rebel group, the ELN, to increase attacks. The National Police’s operations commander in Magdalena Medio, Colonel Ivan Calixto, told Blu Radio that the ELN is planning to carry out an offensive in the region. The region is of major strategic importance for both the guerrillas and the state; it connects the capital Bogota with the Caribbean coast in the north and is an important corridor for illegal armed groups to move troops, drugs and arms between the east and the west of the country. Before and during the demobilization of the FARC, until last year Colombia’s largest guerrilla group, the ELN expanded its territorial control in Magdalena Medio, according to independent conflict monitors. President Ivan Duque suspended peace talks with the guerrillas when he took office in August and imposed new conditions on the resumption of negotiations. Tensions have been building since then as the guerrillas demand the government honor agreements made with Duque’s predecessor, former President Juan Manuel Santos. After two policemen were killed in an alleged grenade attack in Auguachica, Cesar, police in the area are on high alert. According to Calixto, intelligence agencies have intercepted an order from the ELN command to its guerrillas that operate in Magdalena Medio to carry out a series of attacks against police. The ELN is estimated to have approximately 2,000 guerrillas and militia members, who have been confronting the approximately 400,000 members of Colombia’s security forces mainly by hit and run attacks in areas under their control. The group that was formed in 1964 long financed its military apparatus by charging “taxes” to locals in areas under their control and kidnapping. Particularly after the FARC’s demobilization, the ELN has additionally become increasingly reliant on drug trafficking, a criminal activity shunned by the guerrillas for decades. While being the oldest, the ELN is not the only armed group in Colombia and has long fought over control over the Magdalena Medio region with anti-communist paramilitary groups. 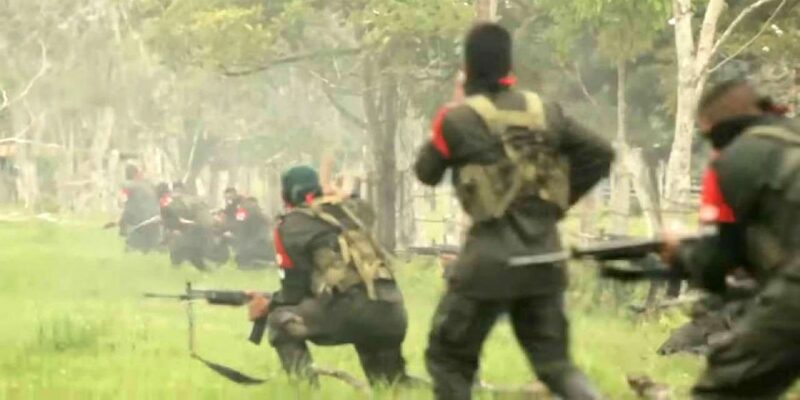 In the northeastern Catatumbo regions, one of the ELN’s strongholds, the group has also been fighting rival guerrillas of the regional EPL group.